Guide Gear® Cargo Sweatpants are made from heavy-duty cotton/polyester that's thick and durable, yet soft and comfortable. Plus, there are plenty of pockets to store your cellphone, wallet and other essentials, especially the TV remote. 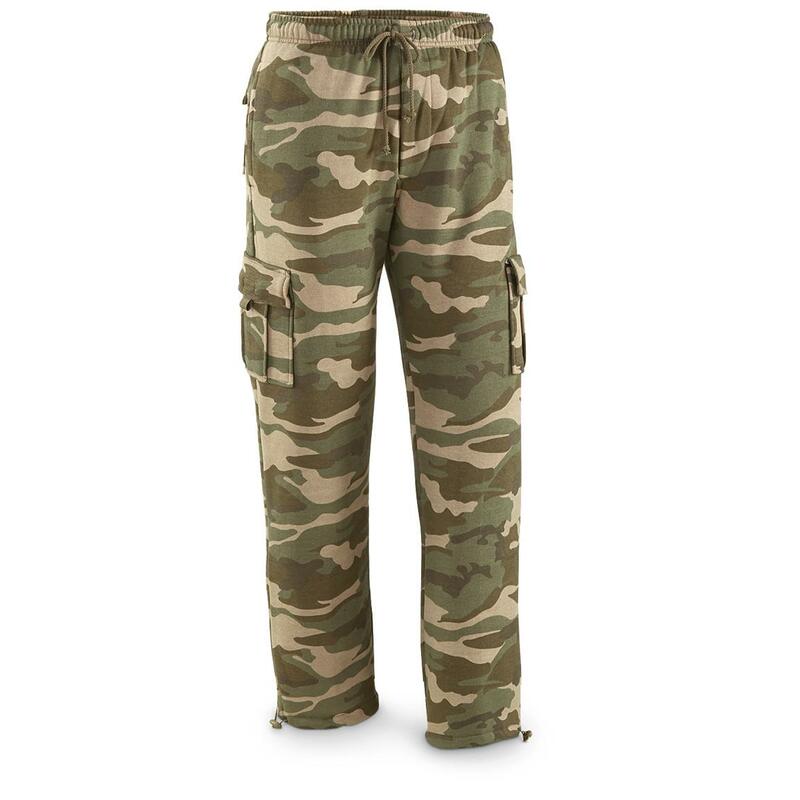 Great for lazy Saturdays, mornings by the lake, outdoor chores, camping…you name it. 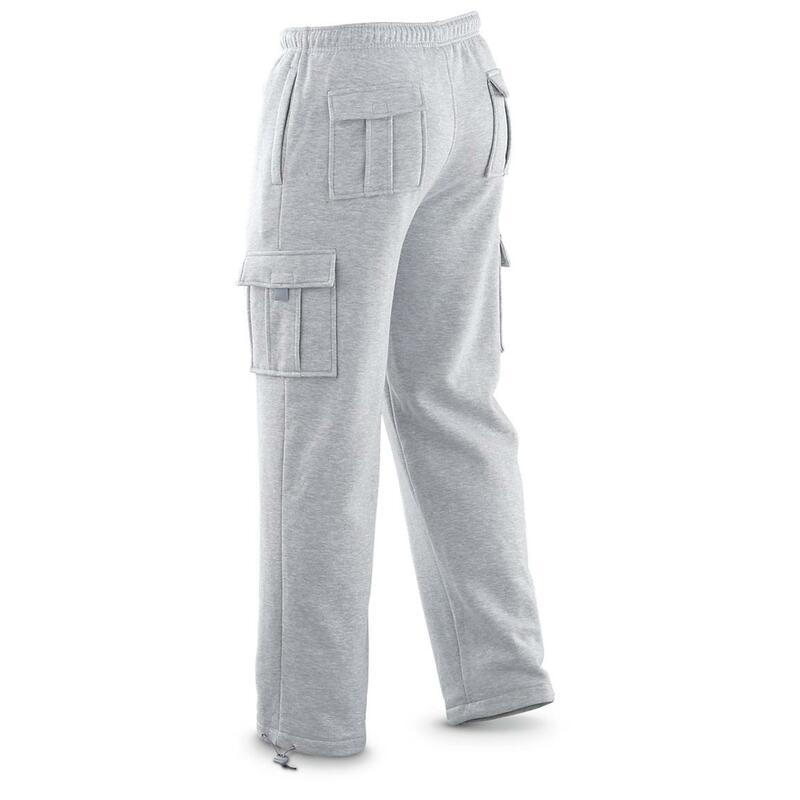 Great comfort and a price you'll love? Order yours today! 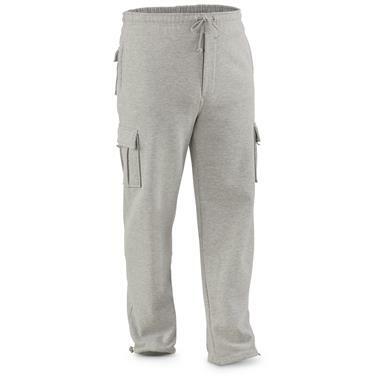 Guide Gear Mens Cargo Sweatpants is rated 4.5 out of 5 by 478. Rated 5 out of 5 by Cathy from Great fit Fit well in waist and straddle. Leg length adjustable using rip cords on cuff. Nice pants. Rated 5 out of 5 by Herbie1 from Great Price They are great. Rated 5 out of 5 by BRUCE from Great price, good product. These are great for every day activities. I wear them all the time, that's why i boughta second pair for both my son and myself. Rated 5 out of 5 by rdmac2012 from good comfy sweats! 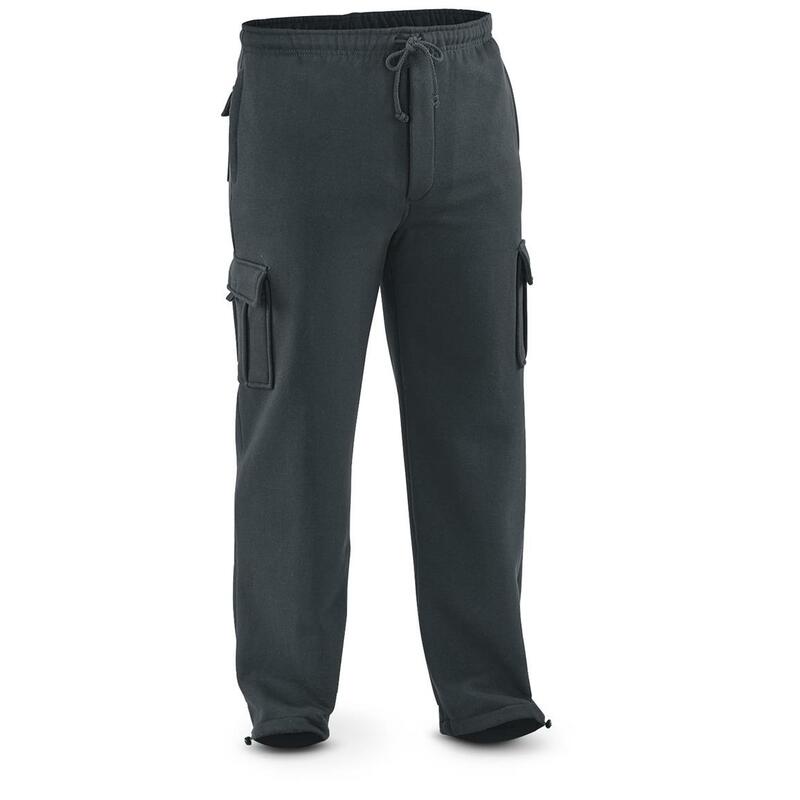 Color: black, size: medGreat fit, comfortable with a 6 pockets for all my stuff, zip fly. Nice construction, 60% cotton, 40% poly so shrinkage due to laundering shouldn't be a problem. With trial membership got these at a great price and free shipping! Rated 5 out of 5 by Henry from Almost Perfect Belt Loops would make these Totally Perfect and eliminate the Draw Strings. I have too many key rings ect and do not like putting them in my pockets.